Tonight, America lost a genius who will be remembered with Edison and Einstein, and whose ideas will shape the world for generations to come. We’re all at a loss for words. Thank you Steve for everything, rest in peace. The world just lost a hero. RIP Steve. I can’t believe it. Rest in peace, Steve. This man had a profound impact on humanity, far beyond any gadgets or computers. He will be truly missed. Am I the only person who ‘teared up a bit’? RIP Steve, you have made my life tolerable with things that work. You weren’t the only one. This visionary man has touched each and every one of us. The world has lost a Genius, an Innovator and a man with a dream. Steve left when he knew it was time. He wanted to spend his remaining time with loved ones, not worrying about business. 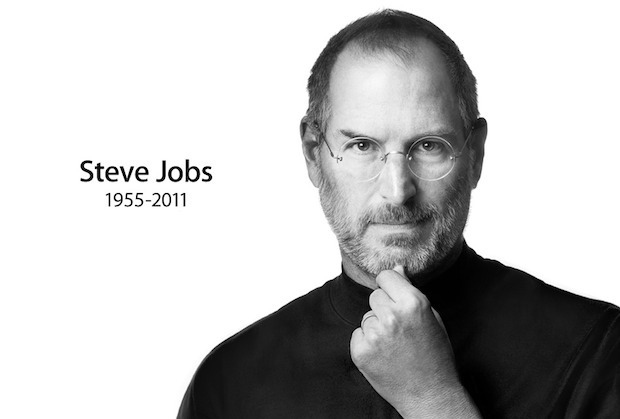 Right now, I wish his family condolences, and to Apple, he lives on -every day, through the ‘baby’ he grew, and nurtured. Thanks, Mr. Jobs; I never knew you personally, but you’ve touched my life, and so many others. Wait, so this actually happened? 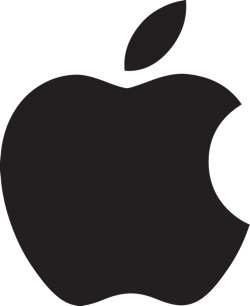 Best of luck to Apple Inc., and rip Steve Jobs. The world lost a great man today. Rest in peach, Steve. God will be happy when you bring iPhone to heaven. No words from CEO Samsung? I wonder what will they say. Anyway, R.I.P Steve, thank you for technology and art you have brought to me. Thank you for the last 30 years Steve, it’s been absolutely amazing. Wherever you are you can know that.Rest in peace! All of our lives more exciting. People like him never die they just go offline. Their teaching and innovation continues to inovate people around the world they stay in heart of every. Their teaching and innovation continues to inovate people around the world they stay in heart of every one. You made computing fun and elegant. RIP Steve. Steve you’re the best and the greatest. We thank you for everything you’ve done to push the computing envelope forward. A very sad day for all of us, nothing will never be the same. Months ago I posted that – not unlike celebrities who passed and caused an industry surge in their after-life, Jobs demise will bring the roof down literally. Production will ramp up just before he passes and as shares surge, stores will be at breaking point the day he goes. Given he has managed to keep his succession plan under wraps underscores that the artist he is, is fully aware of the mechanism that drives a full blown cult. now that you rejoiced your soul with the Universe I want to thank you for what you did in your temporary passage in this reality. You have been a visionary always capable to push it where everyone else was struggling to see and to understand. The Apple co-founder Steve Jobs sudden demise causes a deep void in the field of modern innovative technology which appears difficult to be filled, and he will continue to live in people’s memory with having digitally so enabled them as to make lives and ideas more intimately communicable. With products like I phone and I-pod, it was jobs who had transformed the personal computer device into being really a multi-media technological miracle, encompassing the fields of voice communication, entertainment and visual treat, blurring the dividing lines of actual mundane life and virtual reality. May God bless his soul a serine peace. Thank You Apple for the iPhone 4S – For Steve! Humanity has been challenged by Steve Jobs to move forward, to move better, to think beyond the box! Thank you Steve Jobs! It’s like the Soul is missing in everything, it’s not explainable but …..
Great loss. Thank you Steve for all your work. Incomparable genius, peerless showmanship. RIP.